I was barely 21 when I first met Ed Sadlowski. 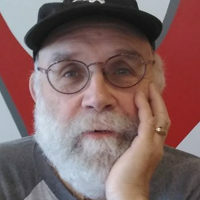 Al Samter, a U.S. Steel coke oven worker with a long history of struggle in the mill and the union, asked me if he could bring Ed over to talk to me about his campaign to run for director of District 31 of the Steelworkers. At that time, there were over a million steelworkers in the union. The district which covered the Gary-Chicago area, District 31, was the largest. Workers were upset that the union leadership had signed an agreement with the steel companies giving up the right to strike. 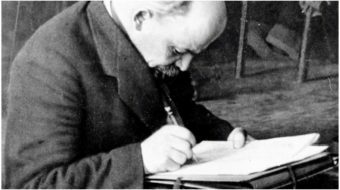 The workers were also upset by a then-recent dues increase that came along at the same time as this new contract, an agreement which was seen as a surrender of labor’s basic right to withhold our labor. Most importantly, the voices of Black, Brown and women workers were absent from the national leadership. Like Ed’s father, my grandfather helped build the union. He had been a staff representative for the same district that Ed was trying to lead. My grandfather warned me to stay away from Ed because, he said, he hung out with communists. Ed convinced me to join the cause of changing the union by taking it over. “You CAN beat City Hall,” he was fond of saying. He used to tell me that when you were a union rep you had to stay on the side of the angels. He said that some guys would sell out the members over a steak when the boss took them out to dinner. 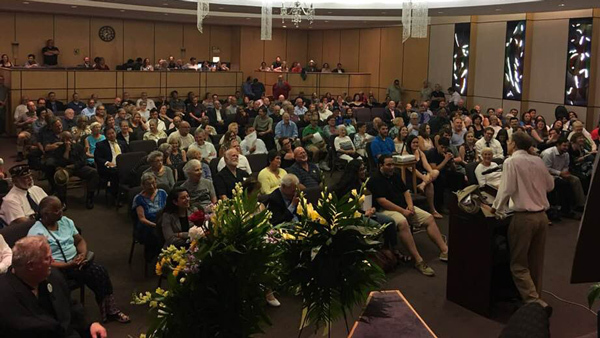 Like me, hundreds of steelworkers became convinced that change was possible. We went into action around the district to organize for the Sadlowski campaign, a movement which became bigger than Ed himself. Ed slimmed down for the campaign struggle, working out with his son in the basement of his East Side Chicago home. Organizing continued after the loss in ’73. The momentum built by all the new people energized by the first campaign made for a landslide win in the rematch between the “official” candidate, Sam Evett, and Ed. Leading this organizing, as in the first match, were Jim Balanoff from Inland Steel’s Local 1010, Jim’s brother Clem, Ola Kennedy, Curtis Strong, one of the first African Americans appointed to the USWA staff, Cliff “Cowboy” Mezo, also from 1010, a fresh young Pennsylvania attorney, George Terrell, and an assortment of old and young union activists, men and women, Black and Brown. Immediately after Ed was elected director, the campaign for the 1977 USWA international president began. The rank-and-file energy of the district campaign, “Steelworkers Fightback,” spread across the U.S. and Canada. The national campaign brought in old union activists like George Edwards from Cleveland and young ones too, like Bruce Bostick at U.S. Steel in Lorain, Ohio. It took money raised at endless mostaccioli dinners and celebrity events across the country. But before the 1977 International officer election, there were the local union elections and a Constitutional Convention in 1976 to be fought over. The idea that the old guard’s defeat could bring needed change to the union’s internal structure to allow for more diverse representation and more democracy was spreading like wildfire across North America. The campaign garnered national press attention with articles in The New York Times and even a controversial interview with Ed in Penthouse magazine which included the line about the international president’s salary: “No SOB is worth $60,000.” The controversy came about because a handful of workers in my plant were making that much, but they knew what Ed was really saying, because almost all steelworkers were making much less. The narrow loss of “Steelworkers Fightback” did not stop the push for reform in the union. Women such as Roberta Wood and Alice Peurala, both of Local 65, became more involved and formed an active Women’s Caucus. Alice was elected president of Local 65, the first woman to head a basic steel local. Eventually, the right to vote on the contract was won and women were elected to international offices of authority. 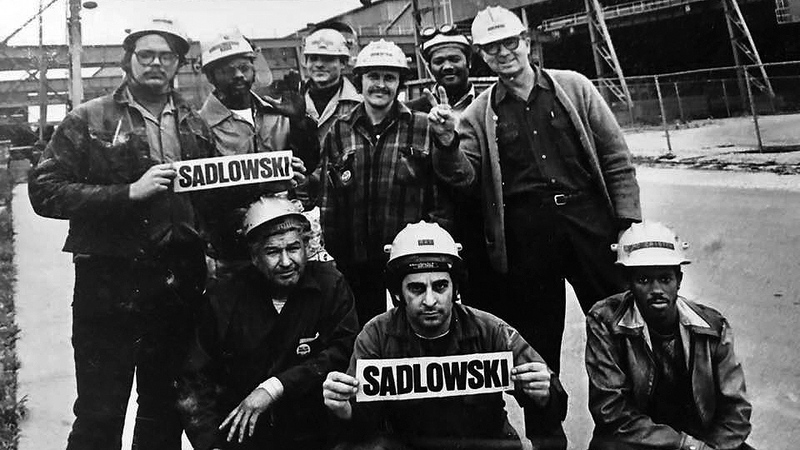 The Steelworkers Union was 1.5 million strong at the time of the Sadlowski presidential bid. Although smaller today, it still elects its international officers by membership ballot. 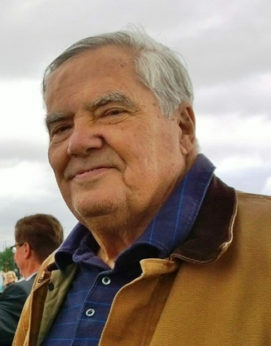 Ed Sadlowski was a great union leader who kept on fighting for justice in labor and in the world up until the very end. I would run into Ed all over the Chicago area at various protests and even at a labor history tour of Chicago. We were at one of the Steelworker rallies for steel against imports and he told me that tariffs were no good for the worker. Tariffs, he said, raised the price on everything and it just cost workers more to live. One of the last times I spent some time with Ed was during the 2008 Obama election. We took the good part of a day campaigning going door to door for Obama in Gary. Ed Sadlowski was a different leader, ahead in his time – opposing the war in Vietnam, tariffs and favoring a more democratic union. His candidacy inspired many to a life of union action way beyond his original campaign.